Power increase to 550HP / 560 LB/FT Torque! Before the release of ESS Tuning's newest F-Chassis S55 E-Flash Tuner, they spent countless hours extensively testing and calibrating every aspect of this tuner to get you more power then any other tuner on the market. At ESS Tuning, they take performance seriously, and take testing to a new extreme by testing this ESS E-Flash in extreme conditions and under massive strain to make sure the engine still performs with the added power. So no matter how hard you drive, if your a daily driver or looking to track your F-Chassis S55, this flash tuner will perform! The ESS E-tronic tuner offers a safe, simple to add power to the already potent M3 or M4. Unlike other external controller products on the market E-tronic is a sophisticated multi channel controller that has RPM intergration. 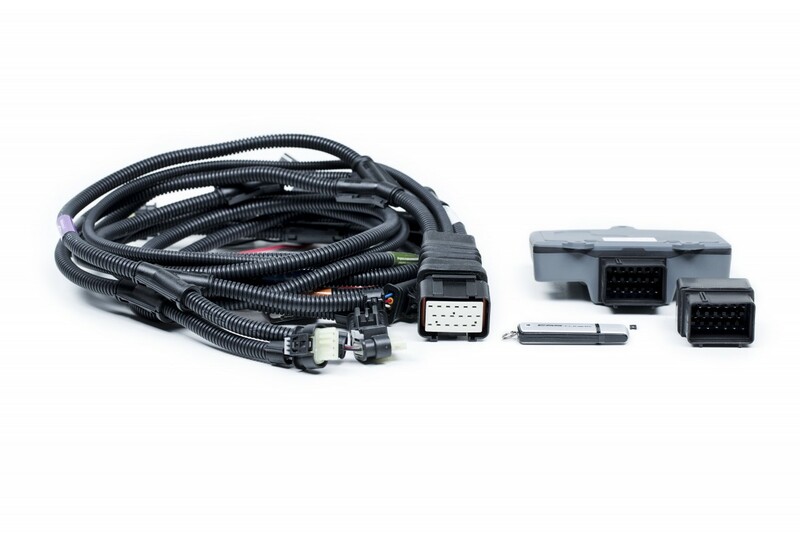 This provides for full control of boost at all RPM ranges and proper calibrations without the need to splice into any factory wiring. OEM grade hardware is used to provide high quality, safe, reliable power with excellent driveablility. 3 pre-set calibration maps provide for a very simple installation without the need for setup or adjustments once installed. The included multi stage maps provide everything from linear power delivery for improved traction under boost to max HP / TQ with the use of higher octane fuel. E-Tronic can be disabled or removed from the vehicle at anytime allowing customers to keep their factory warranty. 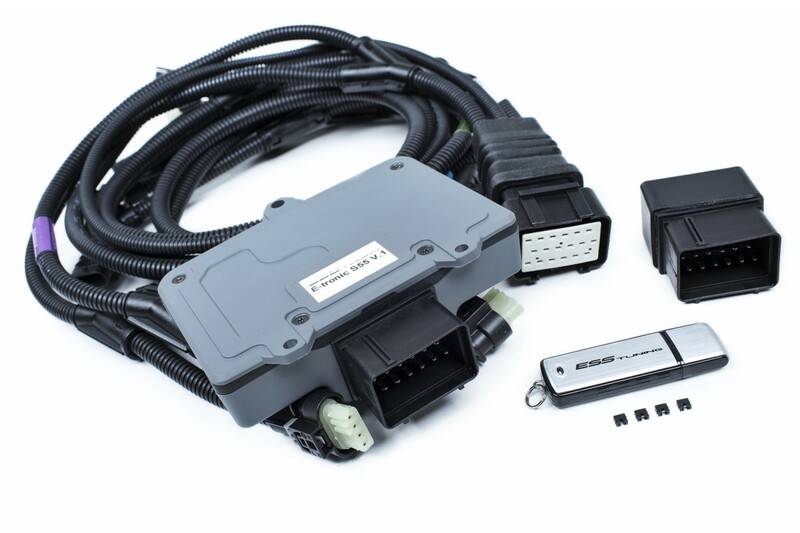 If you are looking to get monster horsepower gains out of your BMW S55 this ESS E-Flash Tuner is for you!! !